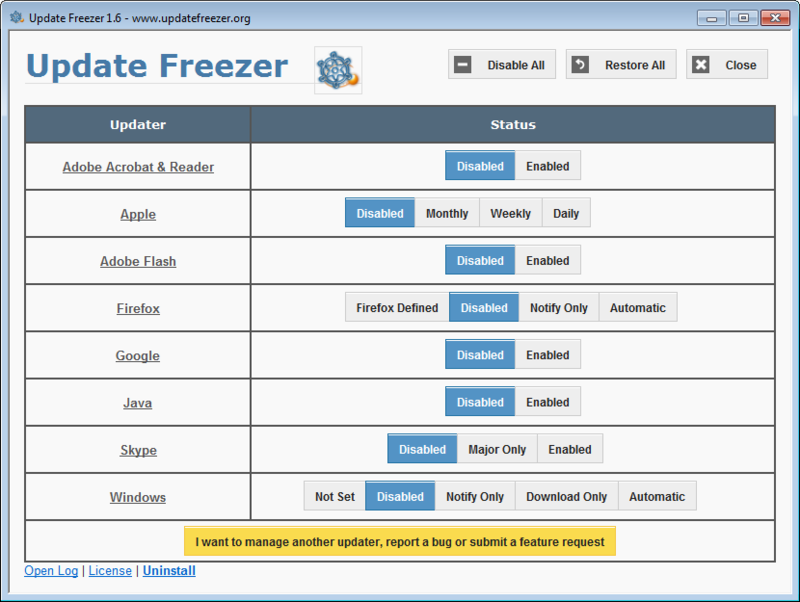 Update Freezer is a free and simple tool that helps to temporarily disable different kinds of automatic software updates on Windows. You can download and use it completely for free. The software package has no bloatware, advertising or any other kind of bundled software. Internet connection is very slow and expensive. Automatic updates may cause significant additional traffic without your permission. You want to keep system configuration intact for some period of time. Like you have prepared some presentation for tomorrow and want your PC to behave tomorrow exactly as today. You are bored of updates and want to allow them on-demand: perform updates when you need them.